Nong Ning seafood is a family-owned and run restaurant that serve the freshest seafood in the whole of Koh Samet. The restaurant features the largest collection of seafood and shellfish in Samet and often supplies smaller restaurant around the area. It is recommended you try their fresh crabs or prawns with the special seafood chili sauce. 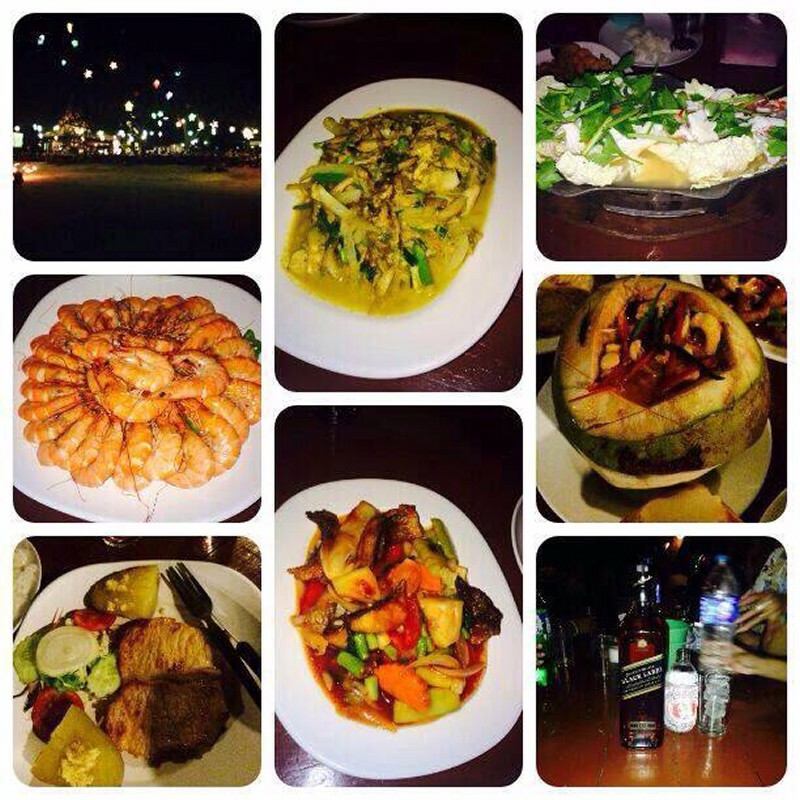 Na San restaurant is located in the Northern part of the beach and serves only seafood BBQ diners. There is also live music available on weekends at the bar attached to the restaurant. This is one of the most affordable restaurant on the beach. It is situated after the Mermaid statue at the end of Saikaew beach. The menu include variety of dishes from European to Thai. Their steaming hot plates with chicken, pork, beef or seafood is one to never miss. Jep's features European and Thai cuisine for every visitor. There are BBQ available at night, so you can have a taste of your favorite grilled meat like seafood BBQ, pork and beef kebabs and chicken. The restaurant can be packed on busy night and service may be quite slow, however if you find yourself at Jep's order a the New Orleans style ribs from the menu, as the taste of heaven awaits you. The Breeze features an elegant open deck nestled up against the shore line. The menu includes Thai and western dishes to suit all guest. The meal is freshly prepared by an incredible team of chefs ready to serve you. There is seafood BBQ available every night, where you can select your pick and have it grilled for you immediately. Sea Horse provides the largest and freshest collection of seafood on Ao Vong Duern, with nightly BBQ also available. The menu at sea horse consist of Thai and western dishes but there is more attention focused on their seafood which makes it an excellent place for seafood lovers. This restaurant features wooden furniture set up on a sand under a massive trees with lanterns. The restaurant serves both western and local foods with most Indian, Mexican and Japanese making up it continental menu. There are confectionaries like cakes available at a very affordable price with freshly brewed coffee available to go. Buddy Bar and Grill is located at the end of the main entrance into Saikaew beach. The restaurant serves snacks and seafood barbecues on a small terrace close to the beach. The restaurant is particularly common with tourist because of its western dishes. This is perhaps the best Koh Samet restaurant. Zea restaurant features international cuisine and incredible traditional Thai food. The restaurant has a modern design with a large dining area and a roof terrace showcasing the beautiful Saikaew beach. There is an incredible seafood BBQ served on Thursday, Friday and Saturday evenings between 6pm and 10pm. Other nights feature western and Thai dish that keeps you coming back. Red Ginger is popular for its signature dish which consist of ribs and mashed potatoes. The restaurant also serves high quality dishes both Thai and western. Although the food is a bit pricey, the uniqueness and quality makes it worthwhile.